PLEASE NOTE: THE THERMOTEX GOLD HEATING PAD IS A RIGID PAD IN COMPARISON TO THE THERMOTEX PLATINUM HEATING PAD. 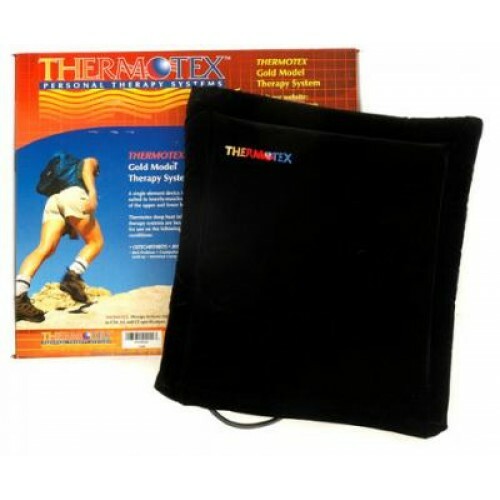 The Thermotex gold infrared heating pad is one of the best products available for back pain relief. This infrared heating pad is a single element device, designed specifically to address the more heavily muscles areas of the body especially the upper and lower back. This heating pad can be used while sitting or laying down and is ideal for pre treatment use in clinical waiting areas. "My Husband James has been completely pleased with the relief he has received from his back pain". This product is exceptional for back pain relief and can be used anywhere - at home, in the office or in the car. I have had back pain all my life. I was born with spina bifida. My spinal column didn’t grow together completely before birth. Since it was all internal, it was not discovered until I was 21 years old and have trouble walking. My back was fused in 1966. The doctor said my back was miserable and I was close to being paralyzed from the waist down. I went to a number of chiropractors, physical therapists, doctors including the Seattle Bone Clinic at the University of Washington. After x-rays and MRI’s they said they couldn’t help me. Everyone gave up after a few treatments. I had to use my mind to block out the pain. I always said that I used 80% of my brain to block out the pain. I took 4 tablets of Tramadol HCL 50mg and 6 caplets of Tylenol Arthritis per day with little or no pain relief. Tramadol is a narcotic-like pain reliever. I always said my golden years were really pyrite (fools gold). I have considered walking out into the wheat fields around here on a cold night and just not coming back. Heating pads and a Niagara heat and massage chair didn’t help. At a time when I was suffering a great deal of neck pain after a car injury aggravating an already existing condition in my neck, I found Thermotex pad decreased the pain so much that I was able to go without pain medication and continue my day to day work as a graphic designer. I have long been a sufferer of migraines which are so totally debilitating! I was given a Thermotex Neck pad which I started to use around my neck and when I feel the pressure build in my head I lay down on the bed with the pad over my eyes. The warmth coupled with the infrared means that I no longer have to suffer as I once it. It is truly amazing! I am a primary school teacher and find at the end of the day my neck and shoulders go into spasm, especially around report time! I initially used my Thermotex neck pad twice a day for a month and find I only use it 2 or 3 times a week. As a CPGA Class “A” golf professional with a focus on golf specific conditioning, I have found the Thermotex to be an effective tool in the management of recovery and recuperation from golf and training. The Thermotex is portable and effective. 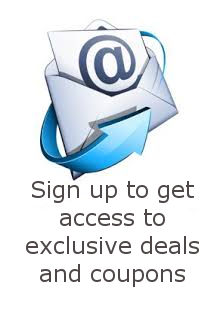 It can provide benefit to virtually any golfer, recreational or professional. “I am so fired up about Thermotex personal systems!! I have suffered with fibromyalgia and arthritis for a number of years and my knee pad is working miracles on my knees… in three weeks the pain has decreased dramatically and my pain meds reduced in half!!!! I am only in my fifties, so am thrilled that Thermotex is giving me relief, rather than knee replacement and drugs. I am very thankful and would love to see other sufferers get the same relief!!!! I have been using your Thermotex device for my recovering heel injury for a couple of months now, and it lives up to its promises and more. I had an open wound on the back of the heel (in office screw removal), and the unit closed it up in only a few days. Further, it has benefited the healing of soft tissue in the foot and improved its circulation in a way that has practically dissolved the minimal residual joint effusion one gets in situations like this (4 months in casting). Four months imprisoned in a cast with no weight bearing at all returns a weak, tight foot with shortened gear that cannot do work without complaint, as I am sure you know. I credit the Thermotex device with a surprisingly quick return to walking normally without pain in proper gait. Typically in calcaneous fracture situations, recovering the ability to walk with pain, limp, swelling can take up to a year and sometimes more (depending on the injury type and quality of repair). Well, using your infra red system enabled me to walk unaided without pain or limp in proper gain in only 3 weeks, which stunned me, the physical therapist, the orthopaedist and my own orthopaedist brother, who had forecast a full year to reach anything approaching normal status. I am sure it’s easy for you to understand why I am a confirmed and delighted Thermotex customer! 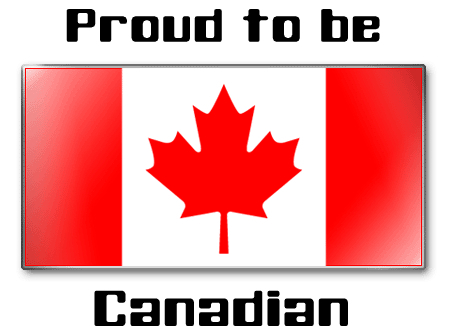 Is this product FDA or Health Canada approved? for sale by Health Canada. ovide at least 50 watts of power. What kind of technology does the unit use? For how long may I apply the pad? minutes on the Low setting only. Do I need to ask my Doctor before using the pad? area. If heat build up occurs discontinue use. Do you offer a guarantee on the product? they are beneficial to the body. How is the product powered? How do we keep the pad in place? How many settings are available? Your Thermotex pad has 2 setting only, High and Low. minutes on the Low setting. All Thermotex products weight 2 or less pounds. How do I return it if I am not satisfied? All Thermotex products fit into a large suitcase. Are instructions for use included? How long has Thermotex been in business? Are the products safe for all family members?